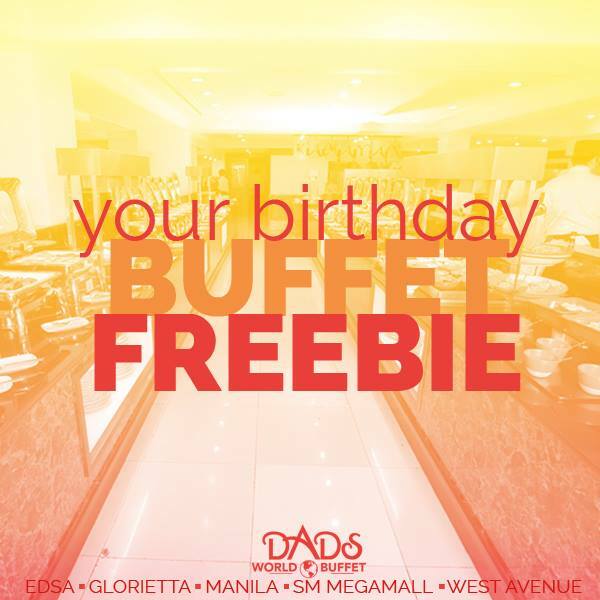 Celebrate your birthday with Dads World Buffet Promo for Birthday Celebrators! 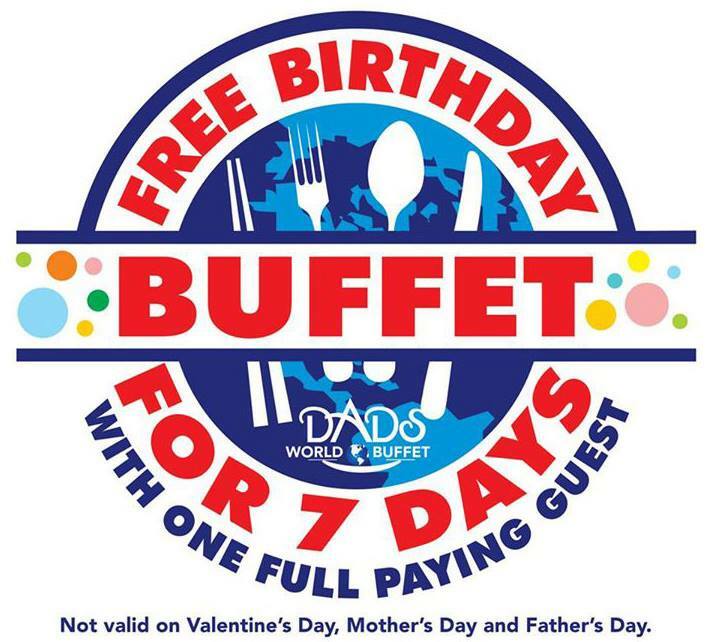 Get your FREE Buffet for 7 days at Dads World Buffet with only one full-paying guest! 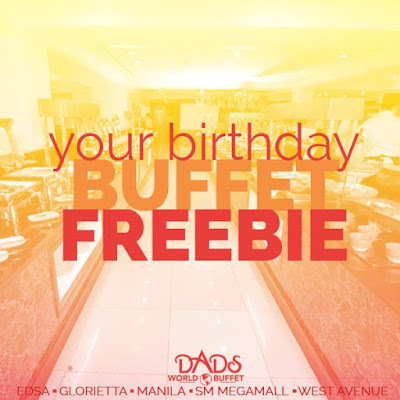 FREE Buffet for Birthday Celebrators who will dine in any of the participating restaurants accompanied by one (1) full-paying adult ON ACTUAL BIRTHDAY, THREE (3) DAYS BEFORE AND THREE (3) DAYS AFTER. 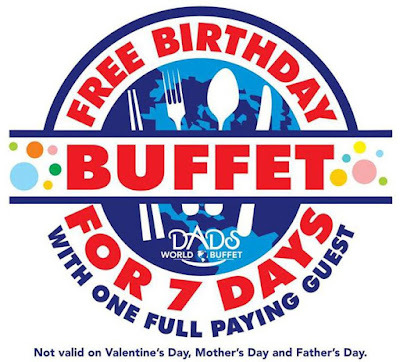 FREE Birthday Buffet may be claimed lunch and dinner, within those seven (7) days. Only 1 Free Birthday Buffet may be claimed per visit. 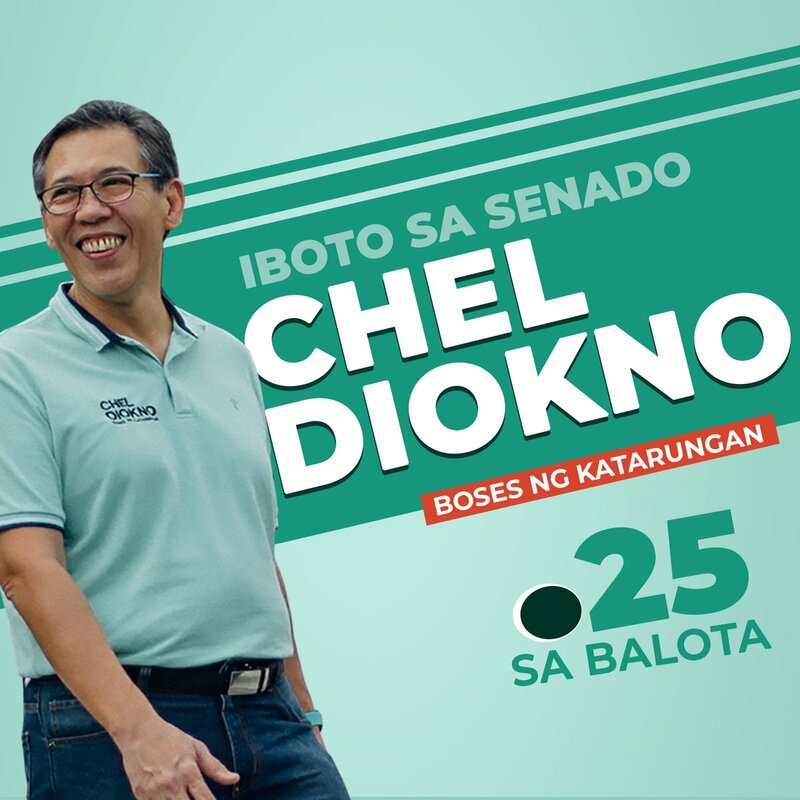 To claim, Celebrator must present to any of our dining personnel a valid document with proof of date of birth presented together with photo identification – (Birth Certificate, SSS ID, TIN ID, Voter’s ID, Passport, Driver’s License, PRC License, AFP/Military ID). Celebrator must also completely fill out the information sheet. All Firstfoods Food Services, Inc. and Golden Reef Food Services, Inc., Kitchenjin Food Services Inc., and Breakthroughs Food Services Inc. personnel and their relatives up to the second degree of consanguinity or affinity are not qualified to join the promo. Promo is not valid with any other existing promotions and discounts. Not valid also on Valentine’s Day, Mother’s Day and Father’s Day. 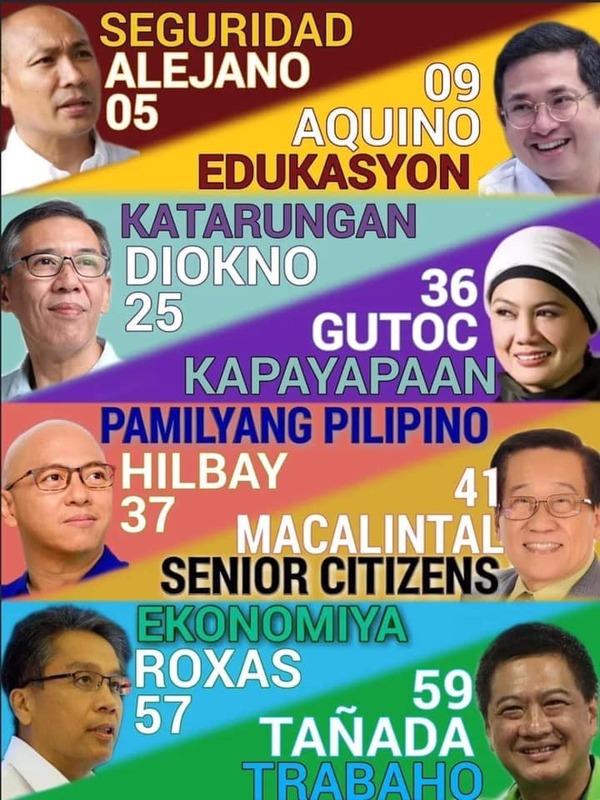 Promo runs until December 31, 2019. Check Dads Buffet Prices HERE.